where p and q are continuous functions on a given interval. 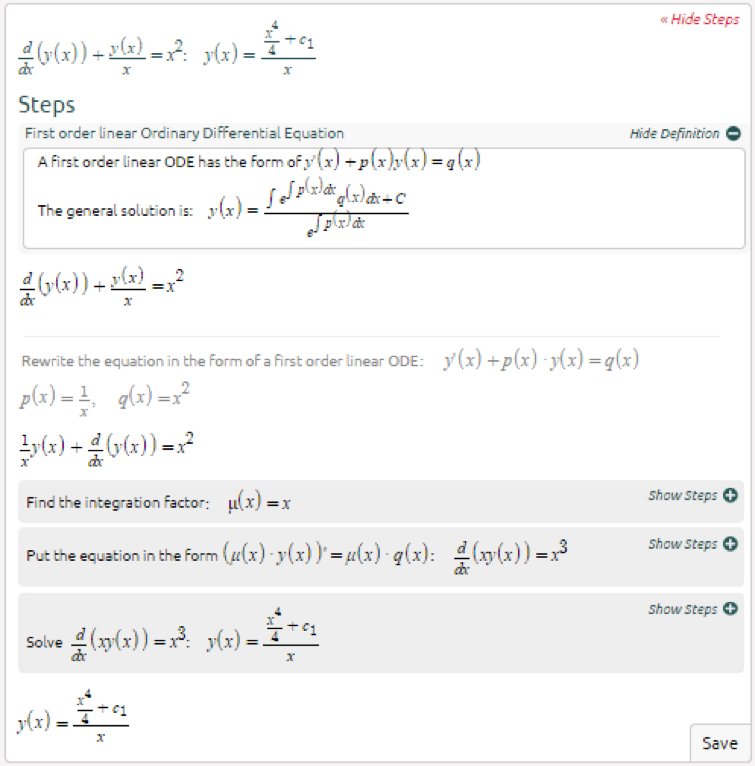 In linear first order differential equations, we can derive a formula for the solution above. This step is very important. 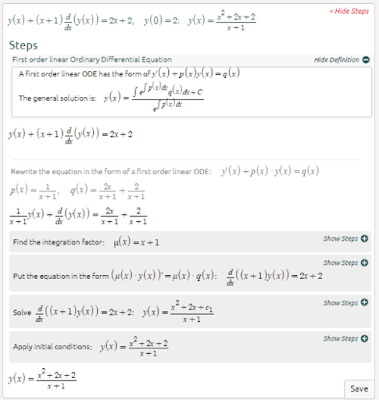 You cannot solve, unless the equation is in this form. 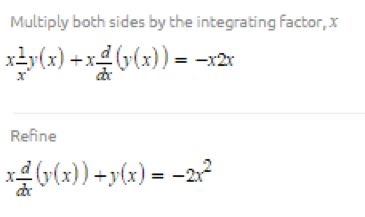 We integrate both sides to find µ(x). Linear first order differential equations may look intimidating at first sight. These problems do take some time to solve, but are not very hard. The most important thing to remember is to not forget about the unknown constant, c.
​If we are going to build any building or home so we must need a calculator to calculate the fats and figure of the material which is need to be construct the home or building. Density of the any material have importance in construction, by using our Density Calculator you can easily or accurately calculate the density of any material or goods. 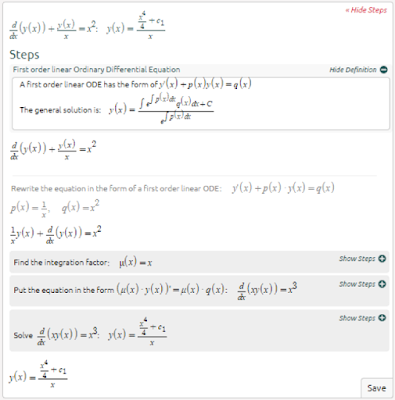 This online calculator allows you to solve differential equations online. 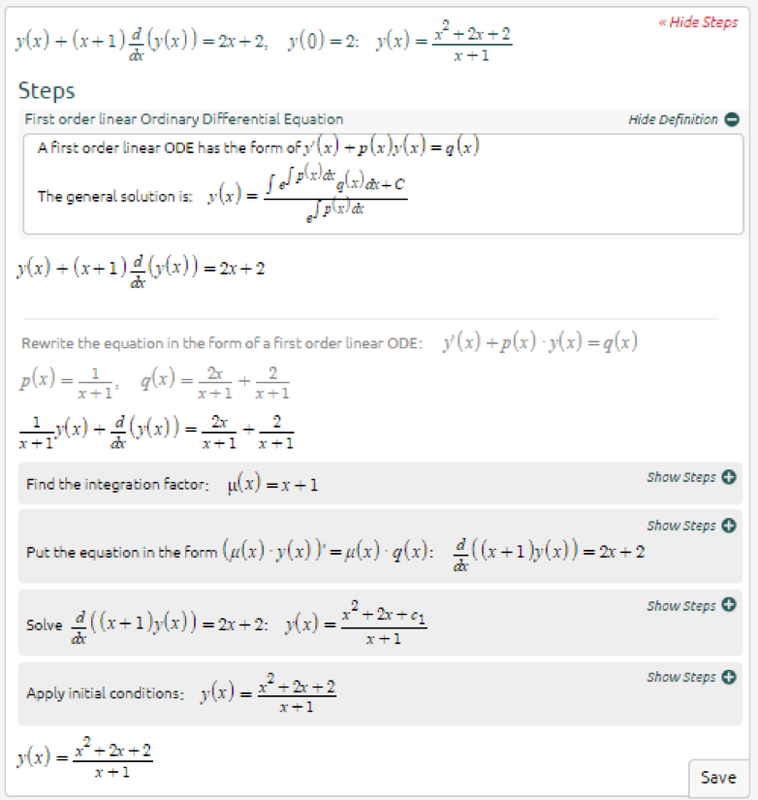 Enough in the box to type in your equation, denoting an apostrophe ' kroger feedback derivative of the function and press "Solve the equation". Nice And Very Helpful Math Solutions .Useful ToEvery Student.. I am remarking permitting you to in spades primarily very understand what a legitimate power my convey acknowledged taking in your web site. She recognized assortment of elements, with the facilitate of what it's connected with associate degree unrealistic to own the capability to push vogue to primarily have the reclamation whereas not hassle seeing some substantial contemplations.